Use this box to recycle any product or packaging which was used for personal care, beauty, or styling. The collected waste is mechanically and/or manually separated into metals, glass and plastics. Metals are smelted so they may be recycled. The glass is melted and recycled. The plastics undergo extrusion and pelletisation to be moulded into new recycled plastic products. Please send us your discarded inserts, insoles, pedicure kits, empty anti-fungal containers, ointment packaging, non-electronic hair care and styling tools such as brushes, combs, picks, clips, bobby pins, hair ties, scrunchies, empty shampoo and conditioner bottles, gel packaging, non-pressurized hair spray bottles, wax jars, pomade tins, hair dye packaging, and blow-dryer attachments like combs and diffusers. 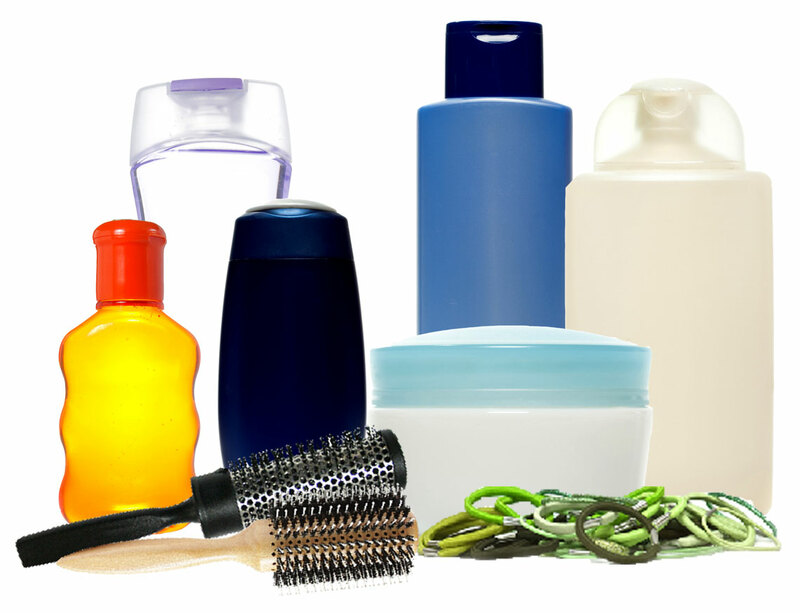 include any electronic items such as blow dryers and straighteners, any bio-medical or bio-hazardous waste or any contents of packaging such as nail-polish, lotion, soap or ointments. Please note that we will not accept organics, broken glass, bio-medical waste, soiled nappies, expired medication, pesticides, paint, pressurised canisters, and medical sharps in any of our boxes. Please send traditional recyclables through your local council system.